Once you know how to make tomato juice, you can easily add it to your healthy breakfast. It is healthy and can be made within minutes. 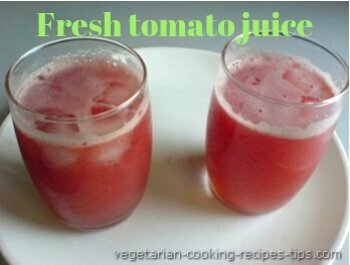 You can make some variations to the tomato juice recipe too according to your taste. Tomatoes are available the whole year and you can make it whenever you want. You may be growing them in your own garden or they may be available in plenty in the season. Fresh tomatoes are always welcome in a drink form. 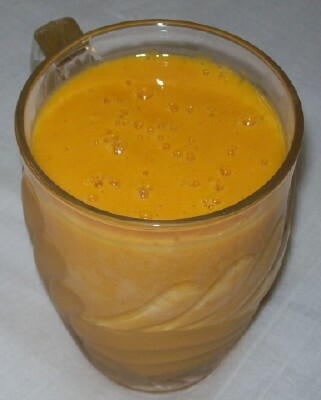 It is good to drink as breakfast or as a cool summer drink on a hot afternoon. Tomato juice has lovely color and taste great too. It has all the benefits of the fresh tomatoes. Use tomatoes with more pulp. Do not use the sour tasting tomatoes. 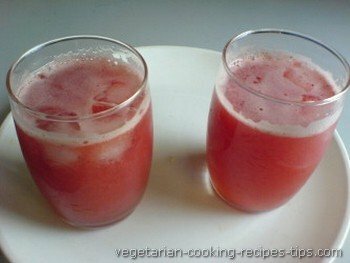 How to make tomato juice? Sugar - 1 tbsp, more or less according to taste. Cut tomatoes in 4 -6 pieces. If you wish to remove seeds, do it with a spoon. But there is really no need to remove seeds. Put the tomatoes in a blender and add water. Blend for a minute. Strain the tomato juice using a plastic or stainless steel strainer. Add salt and sugar and black pepper powder. 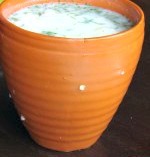 Stir till dissolved. You may serve it now. Or put in the fridge for 30 minutes if you wish. While serving, add ice cubes to individual glasses and pour the tomato juice in the glasses. Serve and enjoy the cool tomato juice. If you keep the tomatoes in the fridge and also use cold refrigerated water, no need to add ice cubes. You may add gud - jaggary or honey instead of sugar. 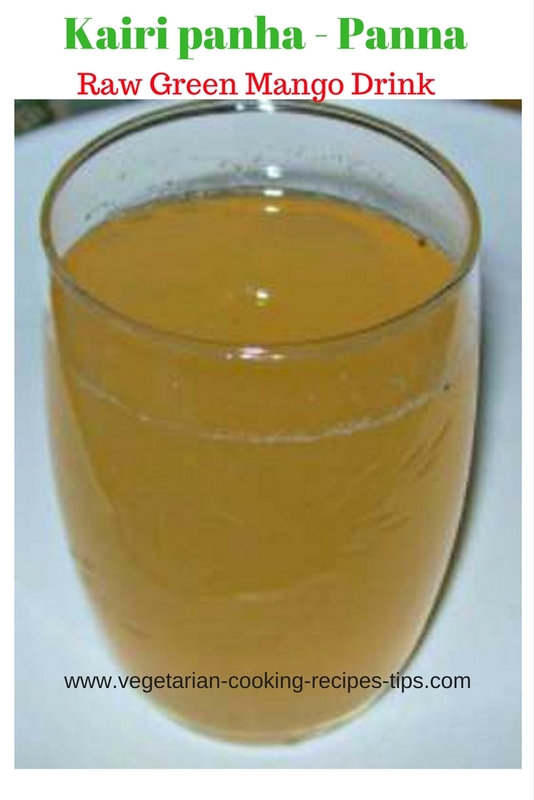 Sugar or any sweetener may be added after straining and tasting the juice. If the tomatoes are sweet, you may not need to add any sweetener at all.